Lately, Matt and I have been in a bread making mood. I love to bake so much! I love sour dough bread and I haven’t been super successful in making a way good loaf. Don’t worry, I never give up. Matt made this start once before but he used our plastic tupperware and I don’t think the start smelled or worked as good. This start was great but I only used pyrex glass bowls that had a matching lid. I always feel super wasteful when I make a sourdough start, so once you get it going instead of throwing it out you can share it with a neighbor. Here is my start. the mixture sit at warm room temperature (about 70°F) for 24 hours. such as on the dryer, on the fridge or by the oven. This is what it looked like after mixing it all together. ounces of bread flour (scant cup) and 4 ounces of cool water. This is what the mixture looked like after I cut it in half and mixed it up. This is what it looked like after 24 hours. start to smell good. The first 2 days it smelled awful so don’t be concerned. Now you are going to feed it every 12 hours, just as the directions above. start and mix it with 4 ounces of bread flour and 4 ounces of water. doubling in size every 12 hours or less. should be ready for use after about a week on this schedule. When you feed it, it now has the consistency of pancake or waffle batter and it looks like this. This is what it looks like after day six. start tight with a lid and put it in the fridge. it back in the fridge. 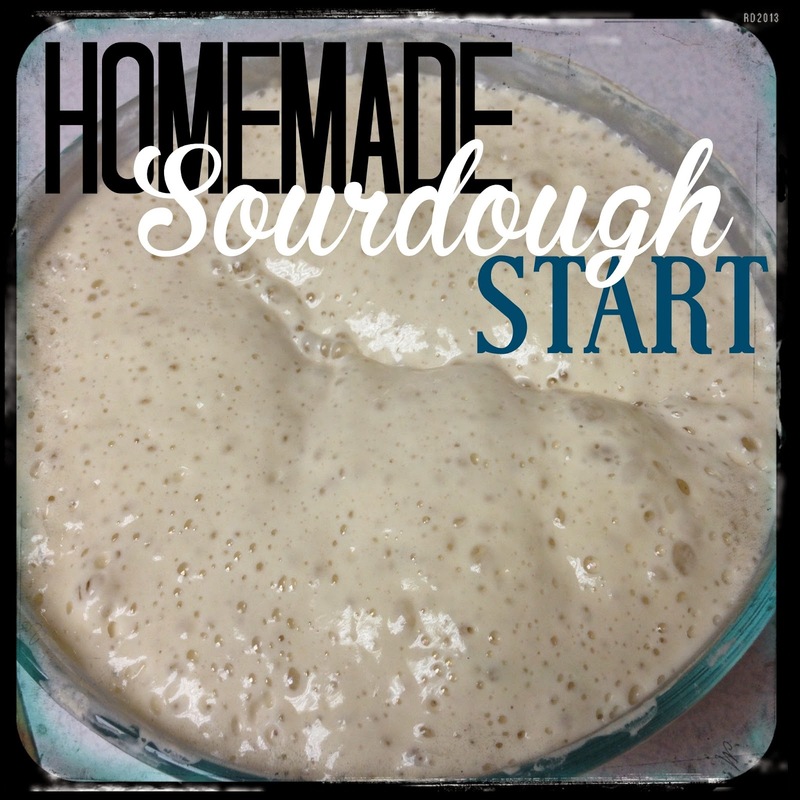 We love sour dough bread, but I've never tried making my own. This might be one of my summer projects to tackle. Pinned to give this a try. I love sourdough bread, but I have only made it when someone gave me a start!! What a great post. Thank you for sharing!! Will use this!